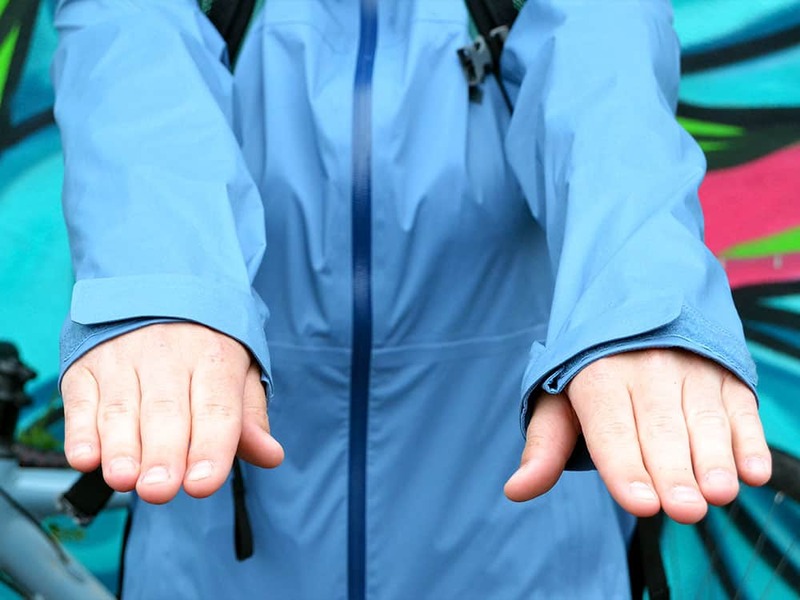 When you’re an active person, finding a raincoat that provides the weather protection you need without impeding your movements is crucial. Biking is my sport of choice and unlike skiing, surfing or sailing, you can get out and enjoy a pedal in just about any weather. Whether the sun is shining or the skies are grey and threatening rain, any ride can be as exciting as the next as long as you are prepared for the weather. 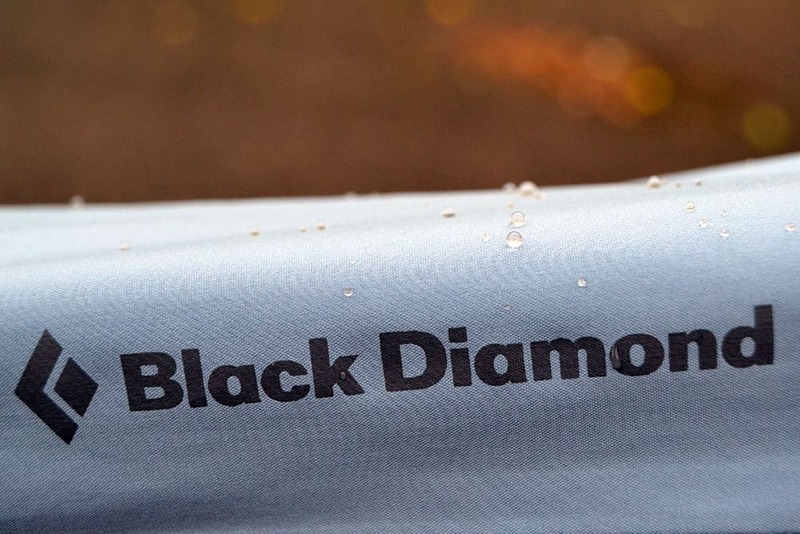 The Black Diamond Stormline Stretch Rain Shell has been my raincoat of choice for bike rides and I think the name showcases why – it’s stretchy! The first thing I noticed while wearing the Stormline Stretch Rain Shell is how stretchy the fabric is and how flattering the cut is. I chose a small and am often between a small and medium depending on the cut of the jacket (I like to be able to layer when necessary and still be able to bend my arms) and the size was perfect. I have a long torso and found the length to be just right, covering my lower back even while riding a bike. The sleeves were neither too long, nor too short and with the adjustable cuffs, my wrists were comfortably protected while commuting by bike in the rain. 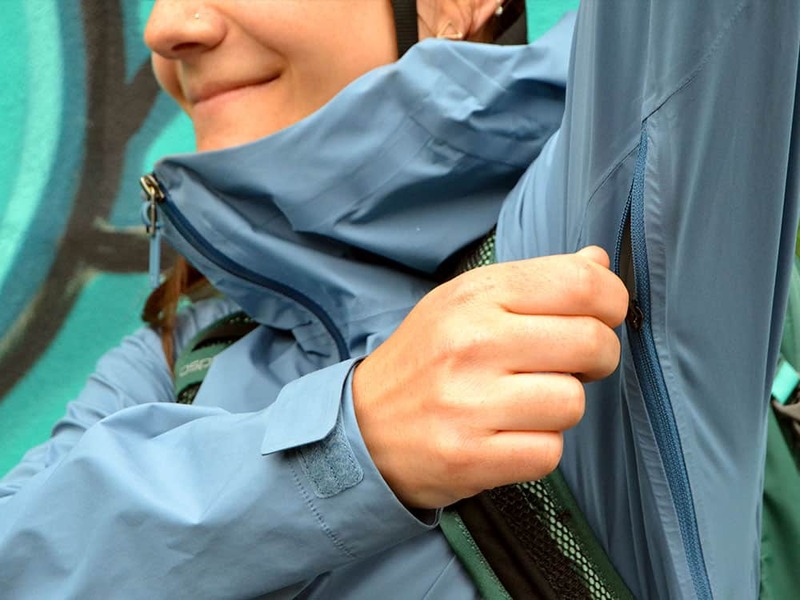 One of the best parts of the stretch fabric used for the Stormline Rain Shell was that even while wearing a backpack while commuting, the sleeves were never restrictive or feeling tight in the shoulders or in the underarms. Right off the bat, this jacket didn’t have any faults to name. Armpit vents are sometimes hard to find on a raincoat but for a person like myself who often runs hot, armpit vents in a raincoat are a must. The zippers were easy to use and I had no serious issues zipping and unzipping the vents by myself. I commute with a backpack and didn’t have any issues with the vents being impeded by my backpack straps either. I used this raincoat during a few light hikes although more often for commuting in the rain. The jacket itself is more designed for rock climbing and alpine pursuits but it worked just as well for my urban adventures on grey days. An adjustable waist keeps cold breezes and sideways rain at bay, while an adjustable and helmet compatible hood keeps the rain out and warmth in. 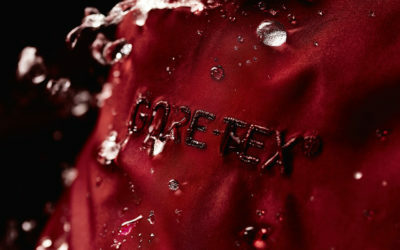 Although it is not crafted with Gore-Tex®, the BD.dry™ waterproof/breathable/windproof solution held it’s own during spontaneous showers. If I were venturing out into a downpour, I may reach for my 3-layer raincoat but for mild showers, the Stormline Stretch Rain Shell performed great. 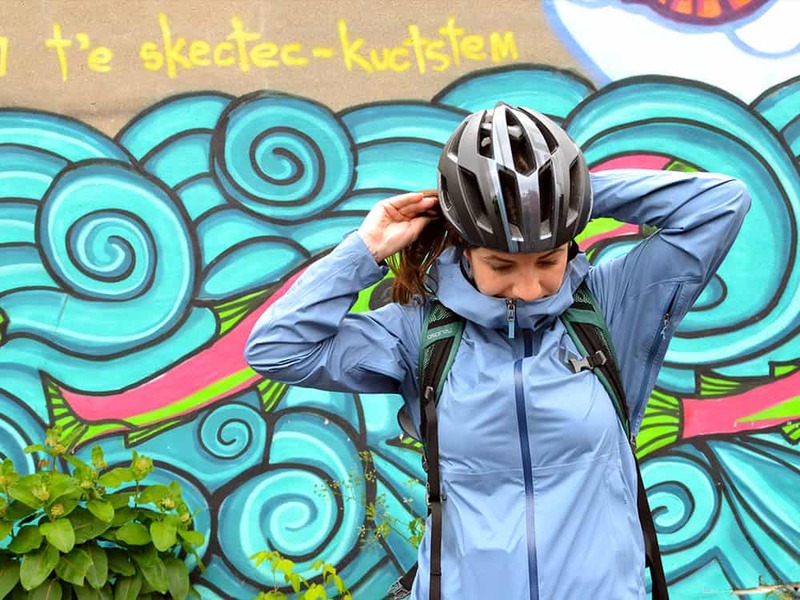 For those looking for a lightweight raincoat that stretches with your movements whether you are cycling, climbing or hiking, the Stormline Stretch Rain Shell is just what you need! 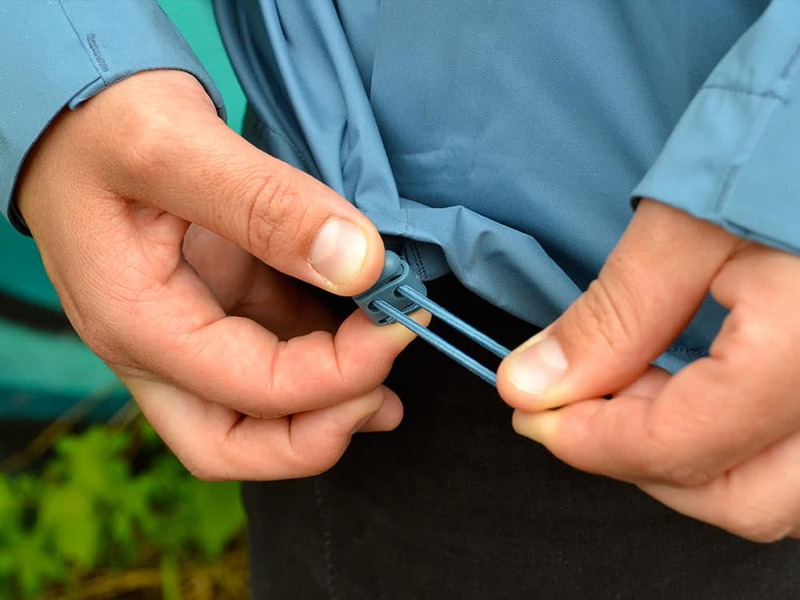 It can be easily packed down small to fit into a gear bag and is feather light making it perfect for milder wet weather.